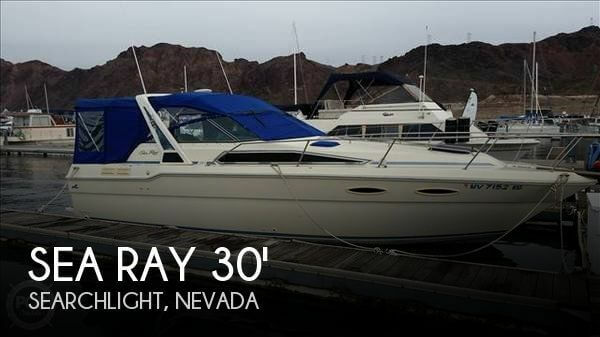 This 1991 Sea Ray 220 Sundancer is in good condition. She is ready for many hours of comfortable cruising with family and friends! Hook up the tandem axle trailer and take her to all of your favorite spots! Maintenance records available. PLEASE BRING REASONABLE OFFERS! Stock #064802 Classic Cruising! Trailer Included! 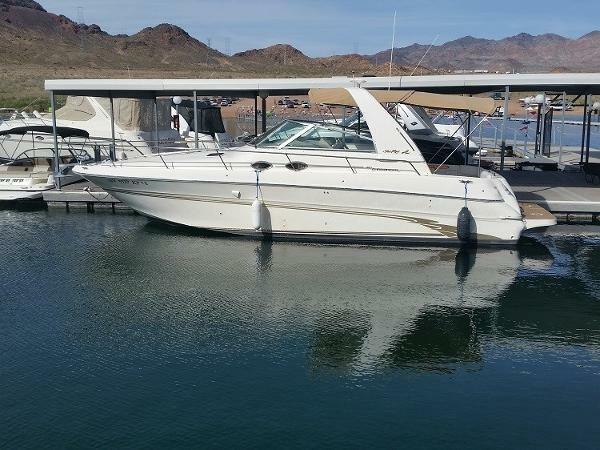 If you are in the market for an express cruiser, look no further than this 1991 Sea Ray 220 Sundancer, just reduced to $12,500 (offers encouraged). 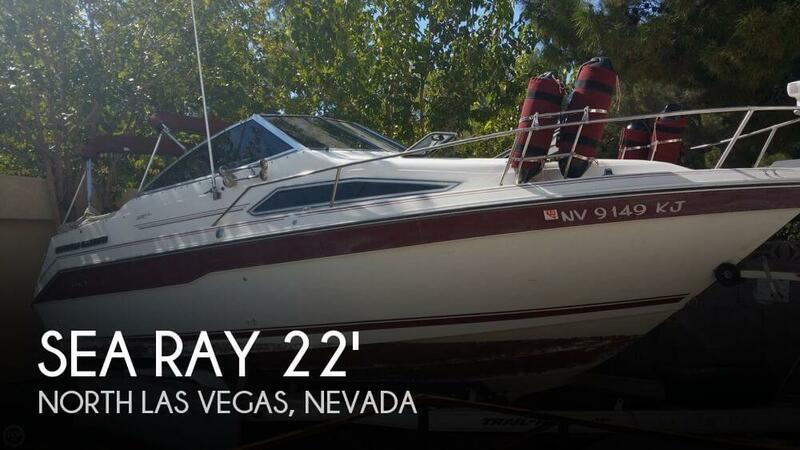 This boat is located in North Las Vegas, Nevada and is in good condition. She is also equipped with a Mercruiser engine that has 460 hours. 1998 Sea Ray 310 Sundancer 1998 Sea Ray 310DA. Powered by twin 350 MAG MPI Merccuiser V-Drives with just over 200 Hrs. Fresh water boat with new bottom paint. 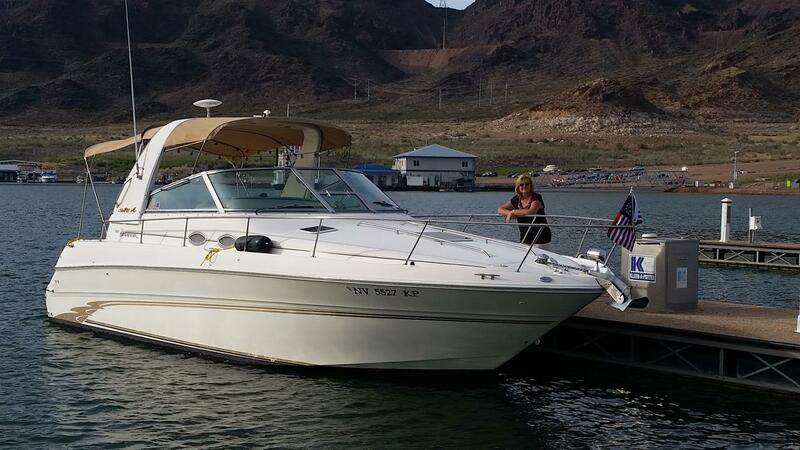 This is the perfect size boat for a family to explore Lake Mead and enjoy a beautiful weekend on the water. You won't have to spend any money getting this boat ready for the season...it is 100% ready to enjoy. Options include... Windlass Anchor, Remote Spotlight, Westerbeke Generator with 200hrs, A/C & Heat, Vacu-Flush Toilet and more. This boat will not last long. Premium transferable slip with unobstructed view of the lake. 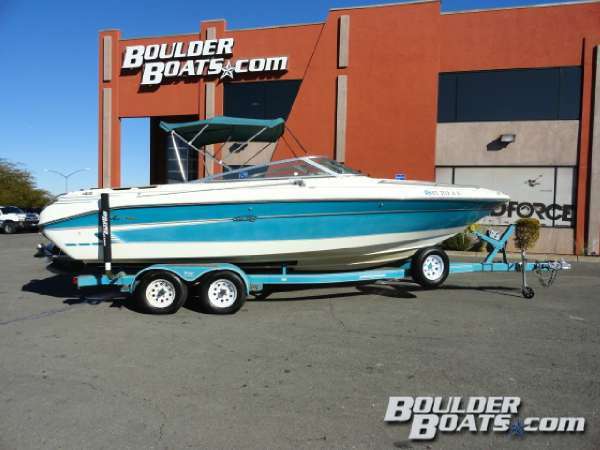 Call to schedule an appointment to see this beautiful boat. 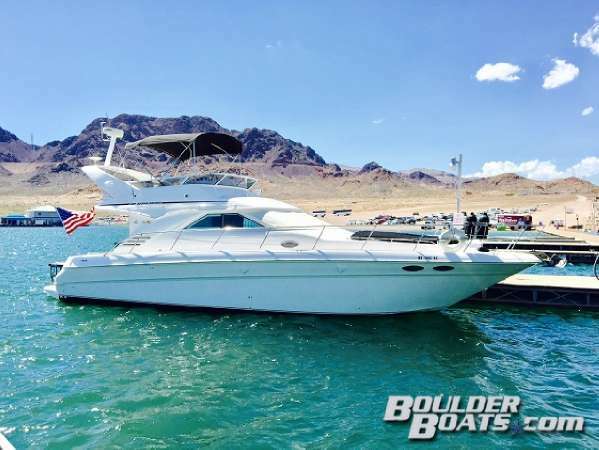 1998 Sea Ray Sundancer 1998 Sea Ray 310 Sundancer This Sundancer has 2 seperate bedrooms, a large kitchen with fridge, microwave, oven, a large comfortable salon sofa seating area that converts into a berth. A stand-up shower with sink, medicine cabinet, shower curtain. Powered by twin I/O 5.0L EFI 305 CI MerCruisers @ 240 horsepower each. Generator. On deck you'll find plenty of cockpit and passenger seating, shower, sink and an amazing cockpit. Completely serviced in February 2017. Only the second owner. 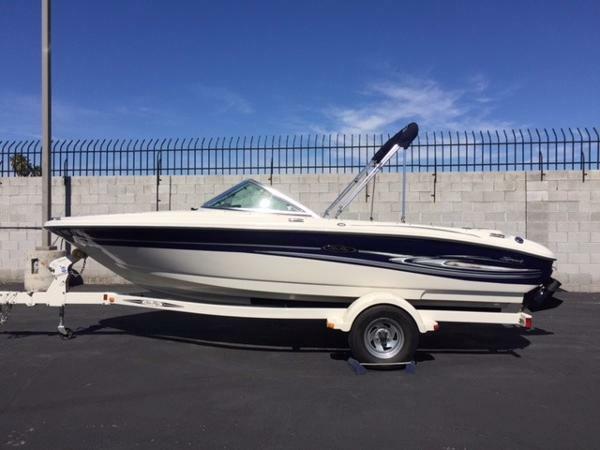 2005 Sea Ray 185 Sport This hot looking sport boat has everything you need for a very cool time on the water. 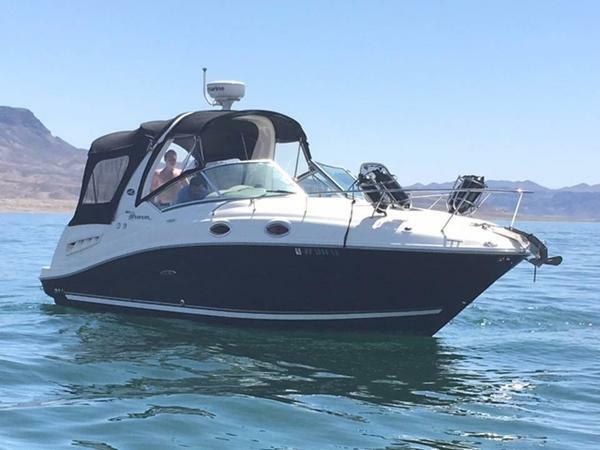 Upgraded seats, power steering and extra cup-holders are just a few of the newly designed features you'll enjoy on the 185 Sport, not to mention the pumped-up power of the upgraded 4.3L, Alpha I MerCruiser stern drive engine. This used model looks new and has only 290 hours. The boat has a bimini top for shade and a full snapping boat cover. This boat is in amazing shape and will not last long. Come see it at our showroom on Boulder Highway in Las Vegas, NV. 2007 Sea Ray 340 Sundancer 2007 Sea Ray Sundancer 340. Purchased new Sept. 2008. Under covered slip on hydrohoist on Lake Mead since purchase. 110 total hours on motors/ 40 total hours on generator. Full service done January 2016. Too Many options to list. Immaculate boat. 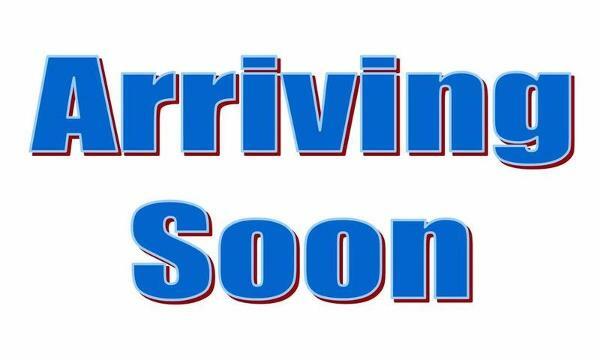 2006 Sea Ray 260 Sundancer Beautiful Boat! 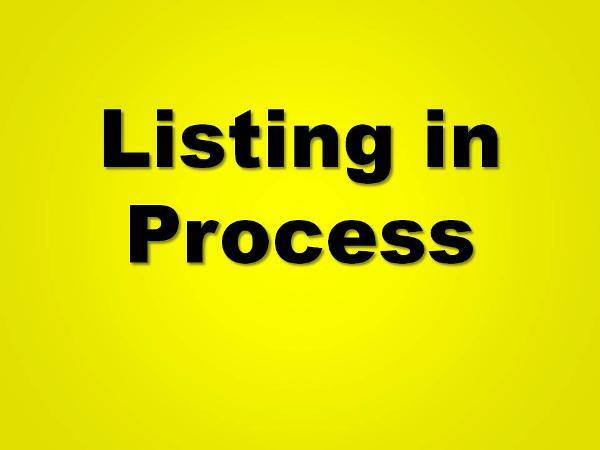 Manuals and Service Records Lake Ready / Sleeps 6 (( LOADED WITH ELECTRONICS! )) BIG MERC 350 / 300 HP. 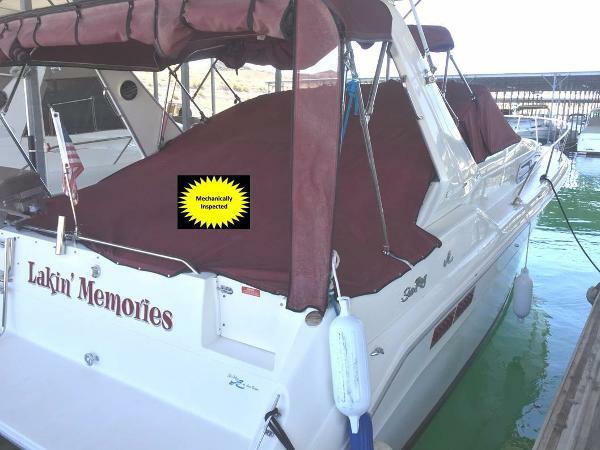 ENGINE - (See Detailed Specifications Scroll down on the Full Specs page) The boat is Clean, Serviced. TOLL FREE 7 DAYS A WEEK! ((INTERESTED)) SAVE TIME and request a Info. Packet and thoroughly inspect the boat from the comfort of your home. SAVE MONEY....This would be considered a Casual Sale so you dont pay the 8.1% NV. State Sales Tax like at a dealership. 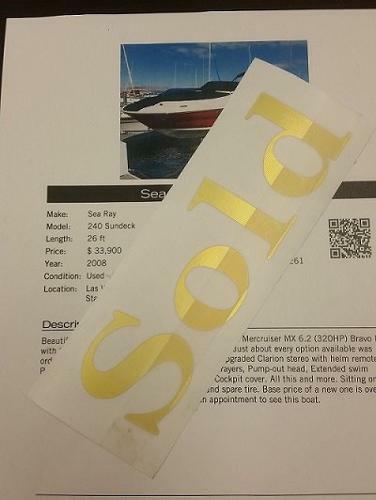 (( FROM BOAT TRADER )) please use the link Go To Website for more information on this boat. 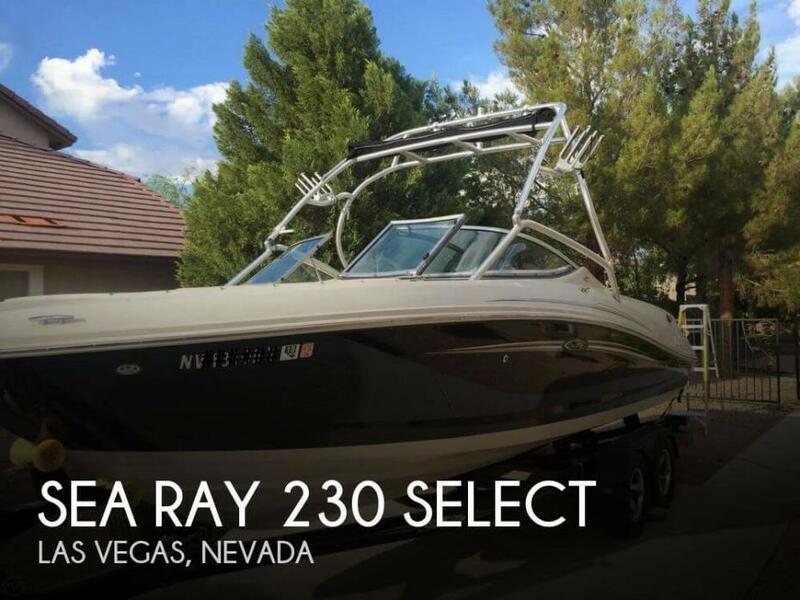 2008 Sea Ray 240 Sundeck Beautiful 2008 Sea Ray 240 Sun Deck. Powered by a Mercruiser MX 6.2 (320HP) Bravo III with Corsa Captains call exhaust and only 205 hrs.. Just about every option available was ordered on this boat. 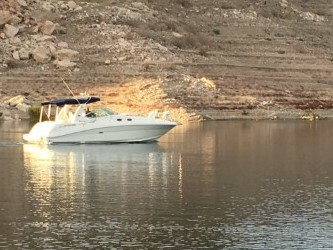 Trim Tabs, Docking lights, Upgraded Clarion stereo with helm remote, Pressurized water system with forward and aft sprayers, Pump-out head, Extended swim platform, Snap-in carpet, Bimini top, Bow and Cockpit cover. All this and more. Sitting on a custom tandem axle trailer with mag wheels and spare tire. Base price of a new one is over $75K without a trailer...! Call to schedule an appointment to see this boat.